The Whitefish Climate Action Plan Committee and Whitefish Fire Department held a public forum on Wednesday, October 18, entitled “Preparing for the Fire Next Time.” Topics of discussion included reducing wildfire risk in Whitefish and the Whitefish Fire Service Area, improving the safety of homes located in the wildland-urban interface, community protocol for responding to unhealthy air quality conditions, and steps to improve indoor air quality during poor air quality days. The catastrophic 2017 fire and smoke season is finally over, but not before fires torched large areas of forest and numerous rural homes across western Montana. Fires forced the evacuation of many neighborhoods and communities. Aside from a period of hazardous air quality due to regional smoke, Whitefish emerged relatively unscathed. However, the town’s vulnerability to wildfire may be increasing, and we all should be taking steps to reduce the risk. 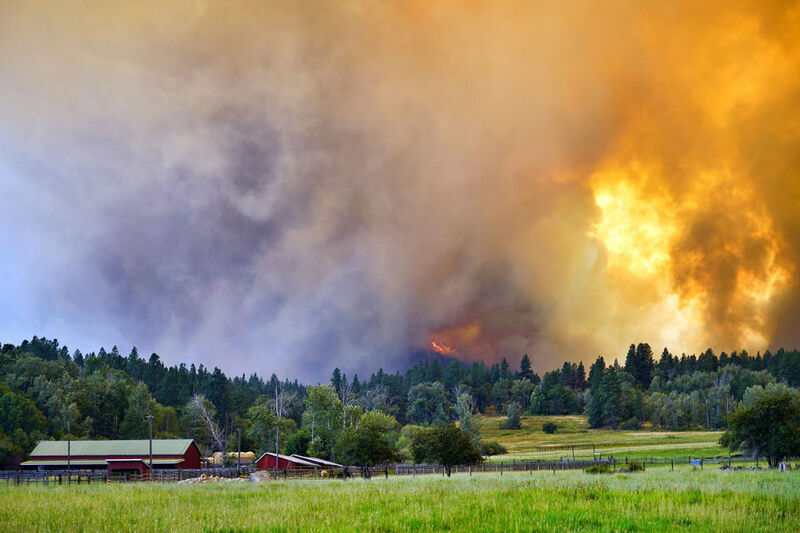 Reducing wildfire risk and public health impacts from smoke was the focus of this community forum, sponsored by the Whitefish Fire Department and the Whitefish Climate Action Plan Committee. “All of Whitefish is considered part of the WUI, the Wildland-Urban Interface,” said Whitefish Fire Chief Joe Page. “While you may not have a huge number of tree in your yard or around your home, the fact is that we all live within range of an ember shower. Embers from a nearby wildland fire is what burns down homes.” The city fire department also provides residential fire protection for homes in heavily forested areas outside city limits. City Fire Marshall Travis Tveidt and FireSafe Flathead Coordinator Ali Ulwelling discussed actions that homeowners, neighborhoods and the community can take to prepare for the next hot fire season. Flathead County Public Health Director Officer Hillary Hanson discussed what the county is doing to address public health impacts from wildfire smoke. And Amy Cilimburg from Climate Smart Missoula talked about Missoula’s new initiative to protect vulnerable populations during smoke-filled summers. The new Montana Climate Assessment, published last month by scientists from Montana State University and University of Montana, anticipates a future of hotter, drier summers with longer and more intense fire seasons in western Montana. The Whitefish Climate Action Committee, appointed earlier this year by Mayor John Muhlfeld and the City Council, has identified fire risk and wildfire smoke as significant vulnerabilities in and around Whitefish as climate change is projected to accelerate in the coming decades. The committee invites public suggestions on what the city can do to reduce risk and prepare for the fire next time.